Martine and Jacques (Zabou and Sam Karmann) knew their friend before he became an important television personality, but have not seen him for over ten years. 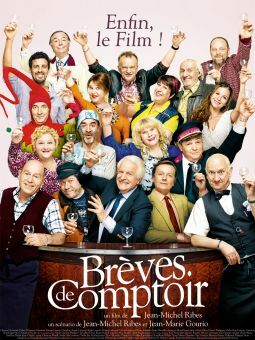 They are hospitable people - witness the fact that they have been putting up with having writer Georges (Jean-Pierre Bacri) be their informal roommate, as he sleeps on their living-room sofa off and on over the years whenever he is between jobs. 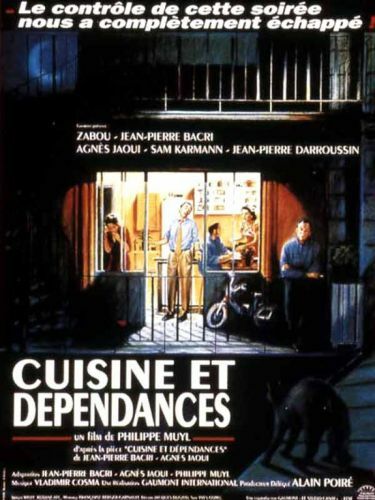 They have invited their friend and his wife Charlotte (Agnes Jaoui) over for dinner, and are on pins and needles, as they want everything to go just right. Instead, George allows his bitterness that Charlotte, his ex-girlfriend, married a success to overwhelm him, and Martine and Jacques are apalled when their brother, who hasn't a penny and is deeply in debt, persuades their guest of honor to join him in a high-stakes poker game. The many subcurrents taking place between the celebrity and everyone else necessitate frequent conferences in the kitchen. This movie is based on a successful stage play, and features the original cast.